Mothers Against Drunk Driving Hawaii had hosted its 4th annual Walk Like MADD fundraiser on Saturday morning. Hawaii victims, survivors, and supporters have walked to remember lost loved ones and inspire change to end drunk driving. 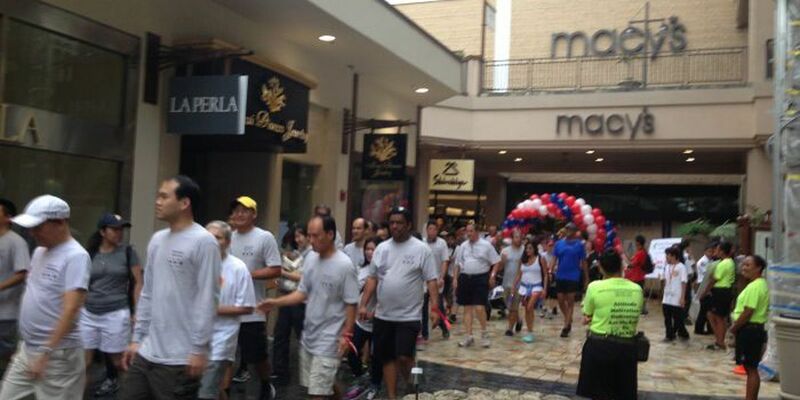 The 5K walk was held at Ala Moana Center and was emceed by Hawaii News Now's very own Lisa Kubota. Over 56 thousand dollars have been raised on Saturday with more than 500 participants and 350 walkers. Funds raised through the walk will help to further the campaign to eliminate drunk driving. This calls for high-visibility law enforcement, ignition interlocks or "in-car breathalyzers" for all convicted drunk drivers. Funding will also help to support the development of advanced technology to turn cars into the cure for drunk driving. In 2013, 48 out of 102 people in Hawaii have been killed in drunk driving crashes.